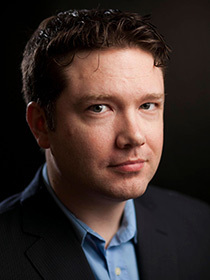 Tim Burke is a multimedia journalist who has worked as Deadspin’s Video Director and with the Gizmodo Media Group since 2011. He arrived in Florida in 2004 to start doctoral coursework in Communication at the University of South Florida; previously, he served as Director of Forensics at Muskingum University. A ten-year veteran of the academy, he taught communication and performance classes at several colleges as well as the Noble Correctional Institution, a medium-security Ohio prison where he worked with inmates on writing and performance of poetry. He has a bachelor’s degree in journalism from Ohio University and a master’s in communication from Eastern Michigan University. When he’s not working, he and his wife Lynn Hurtak volunteer for Tampa Bay Beagle Rescue. They live in Seminole Heights, Tampa.